The credits end and the lights go up. I turn to my companion, alight with enthusiasm. 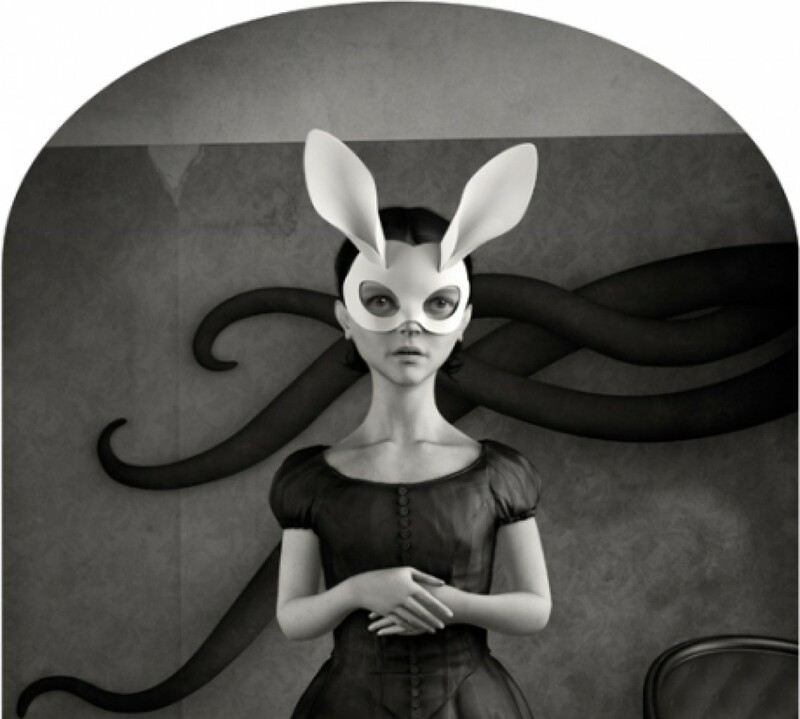 I freaking loved this movie, the pitch black gritty and grim allegorical fable where a social caste system born on twisted ambitions and totalitarianism births an ouroboros of humanity at its worst. Where the cruelty of the head crushes the feet with cold calculation, because some lives matter to the head more than others. I freaking loved Snowpiercer and I needed to share. “That was amazing!” I gush. “Did you not love all of the amazing and things and stuff!” I continue, losing my ability to articulate my appreciation via the use of adjectives. …… “meh.” He shrugs and gets up to leave. I try to continue my gushing but he’s not into it; the discussion devolves into a conversation about pacing and international film making styles and still more about pacing. When we part I think maybe we are sort of on the same page until I find out the truth a few days later. He hated it. I am honestly confused. I how can he not see how awesome Snowpiercer is? The cinematography? The tortured grim fatality of Chris Evans performance? The master level class in character acting given by Tilda Swinton? The beauty? The horror? How does he not see it? Step By Brutal Unrelenting Step. As more time passed and I read more reviews and criticisms of the film I realize that it was not a failing in either him nor me, this is just one of those movies. You know the ones I am talking about, the ones that engender two polar opposite responses in those who watch them. You leave them filled with either adoration or antipathy. Some films are like that, not in a the general public loves it and fans are unhappy sort of way or a wildly popular film that has a few fringe haters or even a meh film that while acknowledged as pap is at least mildly entertaining for what it is. No, this film is like Donny Darko, City of Lost Children or Where the Wild Things Are, the type of movie that either you connect with on some deep level and adore or find utterly pointless and hate. 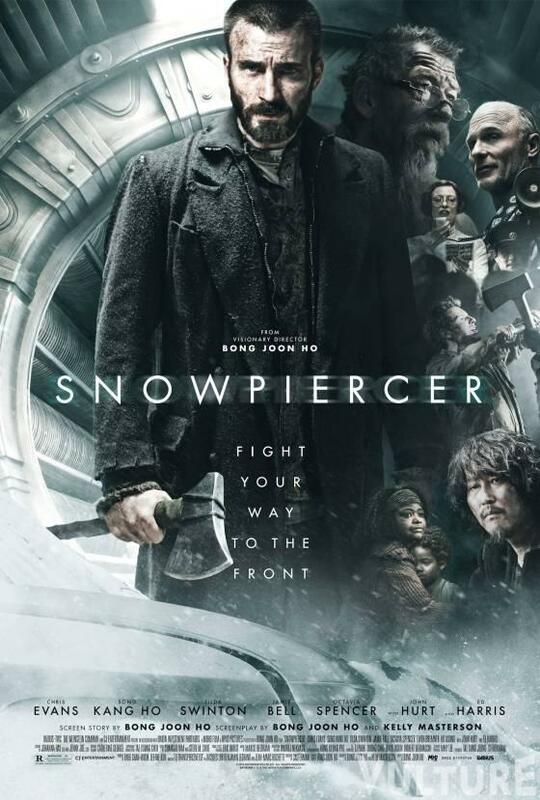 So I am not going to tell you how amazing Snowpiercer is and how you will love it as much as I did because you may end up believing me and then hating it. This film is deeply dark, unrelentingly so. In the face of a planet killing global climatological disaster the center did not hold, but some how the idea of the totalitarian hyper enforced social caste system did. This is “Atlas Shrugged” taken to it’s inevitable horrific conclusion. Set on a luxury train that circles the globe built by a lone refugee of the lost oligarchy, who spent his fortune on a whim and holding a singular passion for trains, and was at the right place at the right time when the world ended. The train is powered by a perpetual motion machine with a horrible secret at its heart, which makes it like every other character in this film. It’s a very french nouveau concept, weird and creepy, odd and grotesque, it’s the type of film that you either opt into the premise and go with it or leaves you pounding your heard against the walls because how is this supposed to make sense? This film asks a lot of the people watching, especially an audience used to straight forwardly told tales that eschew heavy allegory and drawn out pacing in favor of a quick one two punch of plot and momentum. My friend obviously did not opt in. I on the other hand? Was ready to buy a time share, so this review reflects my own personal experiences with being stupidly enamored with both this movie and its premise. The train has been running non stop for seventeen years, the rich and powerful live in obscene luxury at the front of the train and those few desperate souls who made it on board at the last moment are left to grinding poverty at the back of the train. They are fed, barely, living on protein bars provided by the masters of the class system and thier enforcers. We begin the story in the last three cars of the train, with the men and women who live and die there. Chris Evans plays Curtis, the grimly determined hyper focused nominal leader of the people at the back of the train who is driven by a coldly dark core, his motivations are deliberately kept unclear until the very end when you finally understand that there are no heroes here and survival makes monsters of us all. The people corralled in back are counted and tracked at every meal, clicked off like tally’s on a spread sheet, then dismissed like living bags of garbage. After a strange woman comes back to take two of thier children, the only two who measure a particular size, a mini riot is sparked and we are introduced to Tilda Swinton’s Minister Mason, a bureaucratic cold fish who ruthlessly delivers what is deemed an appropriately horrific punishment with the bored irritation of a born middle manager, annoyed over the audacity of the furniture wanting to be treated like people. How dare the shoes aspire to be hats? The natural order deems only the privileged few may rest on the top, all others should resign themselves unquestioning with the animal like acceptance to the suffering of thier lot in life. To which the under class reply with a hearty fu*k that noise. Eventually the people in the last three cars are pushed as far as they can be and make the move to fight back. The goal is to leave the squalor of the tail end cars behind them and take the engine so they can make a better future for themselves and thier children. From that moment on the film is a death march from one end of the train to the other, passing through cars that each reveal a new level of luxury, each topping the one that came before it, all of it bought by the poverty of those they left behind them. Each step is measured, cautious even, but with the feel of inevitability. Whatever it takes, whatever the cost, the front of the train will be taken and the old order throw aside in favor the new. The trick is to let the movie move at its own pace, to sink into each moment as it is allowed to linger as we breath with the characters as they experience every moment. There are no short cuts in this film, there is only one way to the front of the train and each step forward takes you closer to the end of thier world, because for better or worse the train is all that is left of thier world. What price will be paid for its survival and is thier continued existence worth that price? All that said I left the film feeling hopeful, which in the face what I just watched is quite the hat trick. So yeah, I totally recommend this film. Just be sure to go in knowing it is not going to make sense unless you buy into the rules of the world they have created. Opt in and you may just end up loving it as much as I and many other do. If you can’t do that? Then skip it and go see something else. I am hearing good things about Dawn of the Planet of the Apes, go see that. It’s one of those movies that wasn’t afraid to get weirder as it went along. Also to mention, it was a pretty fun movie that took absolute joy in whatever it had to present to us. Nice review.